We carry a list of amazing mountain bike brands along with top gear, accessories and parts for your bike. Check-out our mounain bike brands below. We carry one of the largest selections of bike parts and components in the Canmore and Bow Valley along with some of the best brands. Our brands include Race face performance products, Sombrio, Fox head, Fox suspension, Rockshox, Shimano, Sram, Crank brothers, Specialized Parts, Ht pedals, Continental tires, Maxxis tires, Schwalbe tires, 45n tires, Stans notubes, Gripstud, OneUp components, Mrp, Chromag, Mavic. 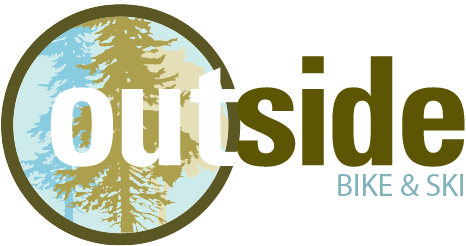 We've got you covered with the best protection and clothing in-store at Outside. Our brands include Smith, Poc, Sugoi, Gore, Fox, Specialized Apparel, Camelbak, Giro, Bell, Julbo eyewear. On top of it all, we keep our shop stocked with all kinds of great accessories and extras. Our brands include Honey Stinger, Skratch Labs Nutrition, Ultima, Gemini lights, Kryptonite locks, Hydro flask, Blackburn, Arcade Belts, 5ten, Ixs, Evoc, Wolftooth Components, E13, Dt Swiss, Hope, Easton, Dissent, Burmis outdoors.